When I was a little girl I dreamt of having my own dressing table, covered in beautiful bottles and jars of magic potions that would transform me into the grown up I so desperately wanted to be. I remember my mum spritzing on her fragrance, albeit rarely and saved for special occasions, and my grandmother having an array of deliciously scented treats to play with; they both had ‘signature’ scents that they would be given time and time again as a staple Christmas gift (although both are long since discontinued,) that if I were to smell today I’d be transported instantly back to my childhood. 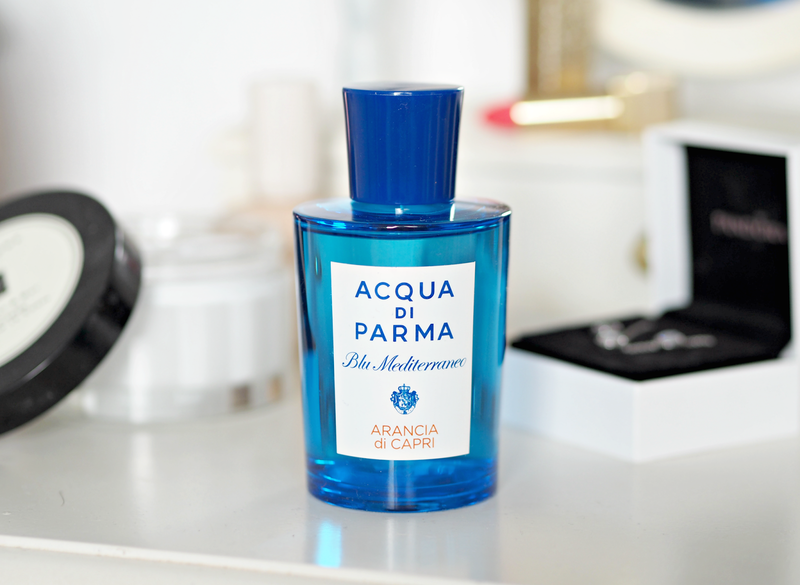 Although my fascination with fragrance started early, I’ve never really had a signature scent. I’ve had perfumes that define an era or a moment in time, but never one that’s stuck with me for longer than a year or two. But looking back at the last twenty years there are certainly five key scents that stand out as real moments in my fragrance journey, and they’ve carved my tastes to what they are today. As John Lewis celebrate their huge portfolio of scents and help me to find my new signature (more on that later!) it provides the perfect opportunity to take a look at those fragrances that have meant a lot to me, and potentially rediscover some old faves. This was the first ‘proper’ perfume I ever owned, excluding the classic teen choices (Exclamation and Charlie I’m looking at you!) that are more pure alcohol than actual scent. Aged around 15 I was allowed to visit the perfume counter for the first time with my aunt and spend the afternoon picking out and sniffing every fragrance I could, whittling it down to the one that I wanted for Christmas. I’ll never forget the green tinted bottle and the fact it made me feel like such a grown-up, spritzing it on my neck every weekend and making it last the whole year. With notes of orange blossom, bergamot, white camelia, lily, gardenia, freesia, jasmine and rose, it’s a fragrance I would still probably wear twenty years later. Young me sure had taste! Undoubtedly the scent of a generation, I wore this to death from the age of 16 to 19 – to the point that now it makes me feel a little bit sick to my stomach. (Whether that’s the overly rich vanilla notes or the fact it reminds me of those awkward teenage years is open to interpretation!) The iconic corseted woman bottle is such a late 90’s masterpiece that it continues to be a best seller to this day; I can still picture it sat on my dresser waiting to be worn only on special occasions. It wasn’t a scent I necessarily chose myself, more a fragrance that was in fashion and bought because of that – which explains why it’s a rogue sweet floral number amongst an array of delicate refreshing scents! signifies independence, strength of character and optimism. To this day I can still remember the television advert and the beautiful New Yorker biting into the fresh green apple; it was the defining scent of the decade and the first forray into refreshing fruity scents amongst an awash of heavy florals and sweet celebrity fragrances. 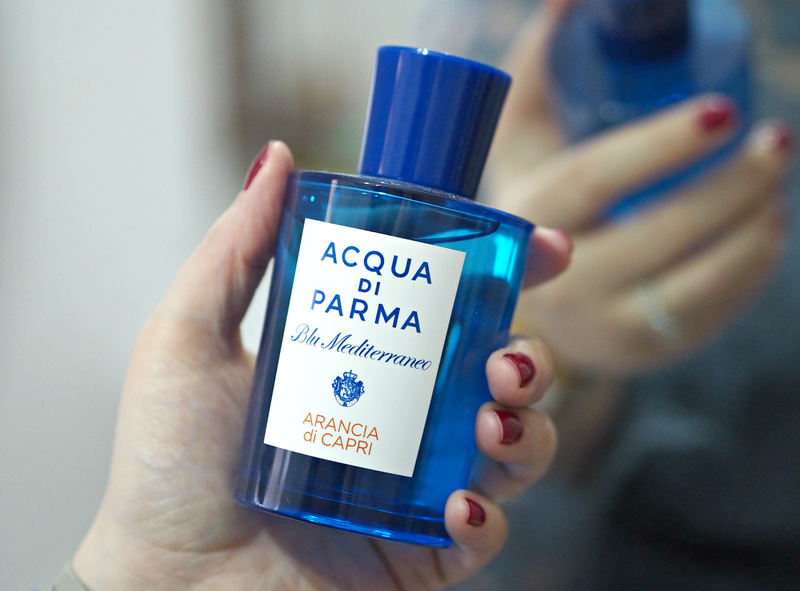 I adored everything about it: the unusual apple-shaped bottle, the refreshing scent within and the way it made me feel. This is as close as I get to a signature scent. Bought as a Christmas gift by my best friend who worked for a perfume retailer at the time, this was exactly the kind of scent I would have chosen myself – that’s the sign of a great mate! The powerfully fruity top note of apple blends into a floral heart of white flowers and orange blossom, with base notes of sandalwood, olive tree and vanilla to help balance the lightness. It’s energetic and modern and one of those fragrances I wonder why I never re-purchased. I wore it relentlessly to the very last drop during my twenties, because of its effortless appeal and timeless citrus notes. One of the two scents I chose for my wedding day, English Pear and Freesia is everything I adore in a perfume: fresh, uplifting, simple, elegant and timeless. I wanted to wear a fragrance that was ‘me’ and fitted in perfectly with my surroundings, but also that I could revisit time and time again when I wanted to remember the day; this was the perfect solution, especially as it was a scent I admired for such a long time but couldn’t find the justification to buy! I adore the warming fruity notes, which are balanced by the light florals, and how it instantly transports me back to that day. and memories – and that’s what makes it so entirely fascinating. Whether you have your own signature scent, a portfolio of favourites or are yet to discover the perfume that will define you forever more, the fragrance experts at John Lewis have a huge amount of expertise to offer (particularly in the run-up to Christmas, the busiest fragrance time of year.) In order to find my next signature fragrance, they asked me a number of questions and set to work to find the one perfume from a portfolio of hundreds they knew I’d love and would make memories in the years to come. The result? 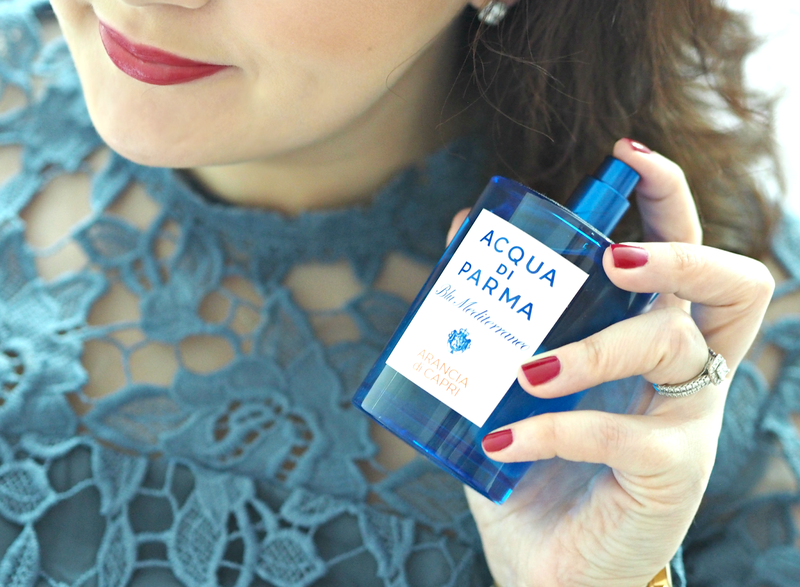 Blu Mediterreaneo by Acqua Di Parma. sense of elegance, and the notes continue my fragrance story by bringing all my favourites together in one beautiful bottle. Despite my initial surprise at their choice, I think I’ve just found my new signature scent. That’s proof that these guys really know their stuff! From YSL, Armani and Viktor & Rolf, to Hugo Boss, Marc Jacobs and Jo Malone, with a touch of Dior, Mugler and Valentino thrown in for good measure, there’s every brand you know and love – plus many more you’re yet to discover. Why not have a browse online or visit your local store to discover your very own new scent signature? 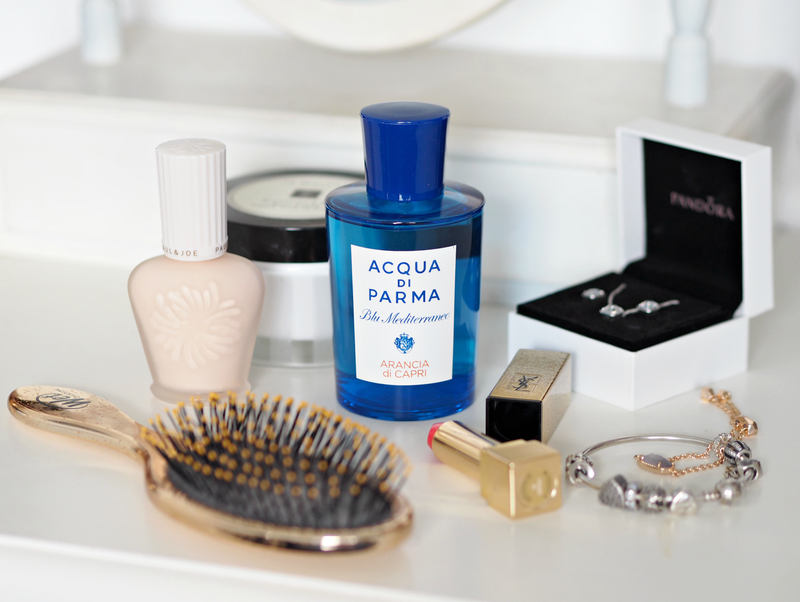 What are the scents that define your lifetime? 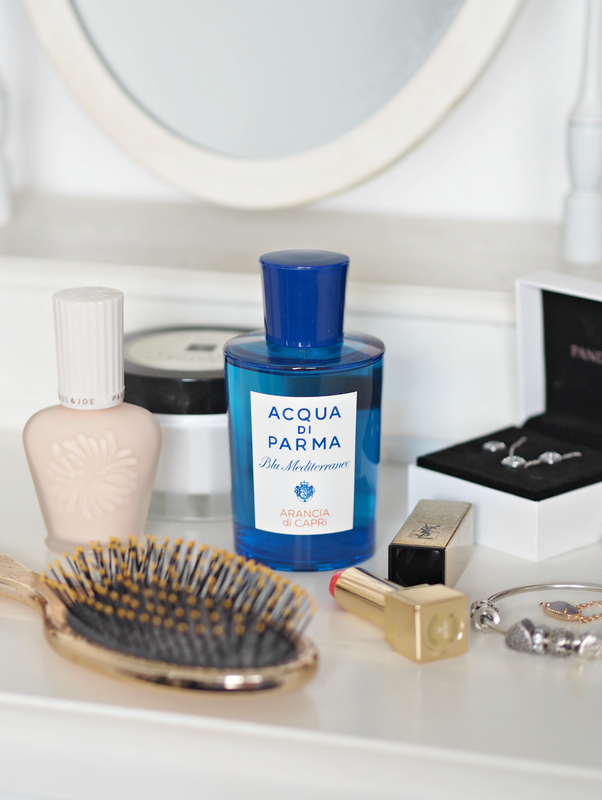 Let me know which fragrances you’ve loved over the years in the comments below! Discover the John Lewis fragrance portfolio online. This is a sponsored feature in partnership with John Lewis; all opinions are my own. Previous Post Are Christmas Gift Guides Over? Thank you for your kind words! I think our memories and association with scent gets stronger as we age and it has a real emotional connection for us. Chanel No19 is one of those scents I always forget about – but it is beautiful.